Almatech has recently successfully developed the Optical Structure of the CHEOPS Telescope in 18 months from detailed design to the delivery of 3 fully tested models. The mechanical requirements for the optical structure were extremely challenging, in particular regarding the on-orbit stability performance below the micrometer. The design of this CFRP-based ultra-stable structure implied the development of fibre-level numerical simulations using data from an extensive samples testing campaign. 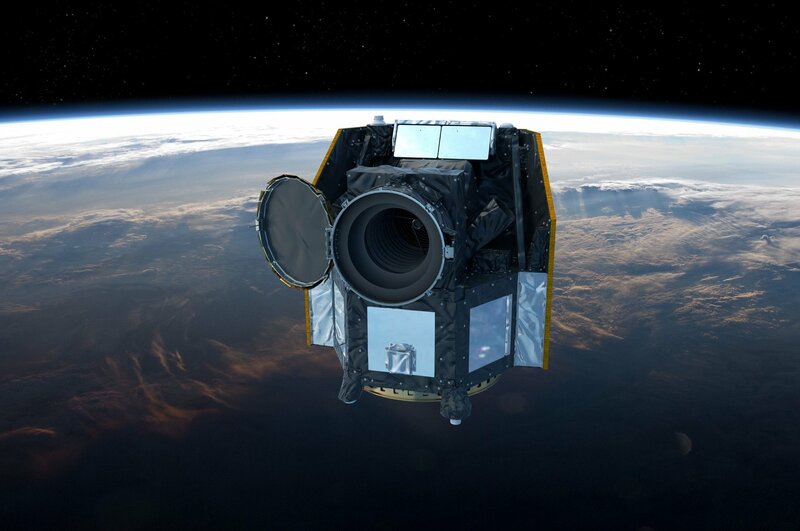 The CHEOPS mission is the first S-class mission from ESA and was selected in October 2012 with a launch foreseen in the first half of 2019. The mission is a collaboration between ESA and Switzerland. Switzerland leads the consortium of countries participating in the mission, h.f. the CHEOPS Mission Consortium (CMC), through the principal investigator (PI) Prof. Willy Benz at the University of Bern. CHEOPS stands for CHaracterising ExO Planet Satellite. It is a small photometric observatory to be launched into low Earth orbit to measure transits of Exo-planets. The mission’s main science goals are to measure the bulk density of super-Earths and Neptunes orbiting bright stars and provide suitable targets for future in-depth characterisation studies of exoplanets in these mass and size ranges.